The only word out of HTC on Vive sales is that it shifted 15,000 in ten minutes when it launched in March. Now, Steam downloads are giving us an idea of where we're at, four months in. According to RoadtoVR, Job Simulator - which is bundled with the consumer Vive but not the Pre or Vive DK1 - has been downloaded from Steam 77,795 times. 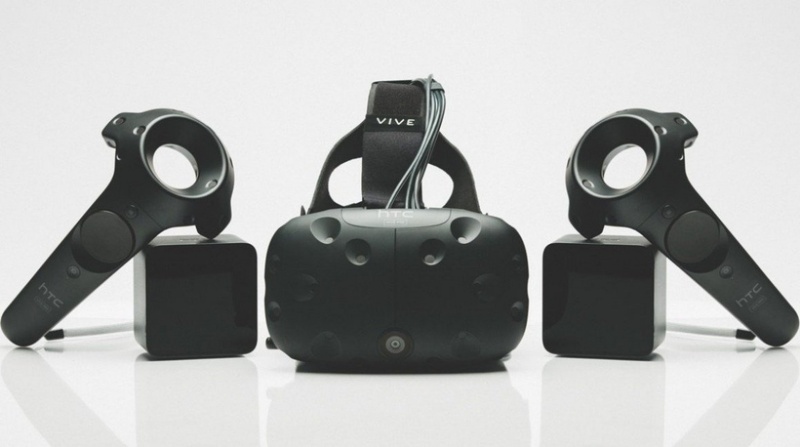 Allowing for a margin of error either side of that number, and combined with higher numbers for Tilt Brush and Fantastic Contraption, looks like around 100,000 Vive VR headsets have now been sold by HTC. At least 80,000 of those are the consumer device. This fits in with Ars Technica's Steam Gauge Project, which lists downloads of between 70,000 and 80,000 for The Lab and Surgeon Simulator, both of which are free. It's unfair to compare Steam downloads by Oculus Rift users which at an estimate of 36,000 headsets looks quite a bit lower because of course Rift users will download games from Oculus Home more than Steam. Now, at $799 the Vive is not cheap and with 80,000 sales so far that would make HTC just shy of $64 million in revenue from VR sales. Compared to smartphone, smartwatch, or even mobile VR, sales it's still early days but it seems that with its smartphone woes, that 80,000 is enough for HTC to spin out its VR business into a separate entity which it did last week. Later this year, though, all eyes will be on PlayStation VR sales. All we know now is that it's essentially sold out for the time being.